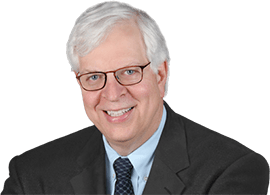 We used to carry Dennis Prager’s column at our Canadian sister site — in fact he was one of our first columnists — because he’s one of the most respected, most honest, clear-headed, and most compelling columnists today. And of course he’s conservative. He still is all those things as is readily apparent, and we wish we still carried his column.